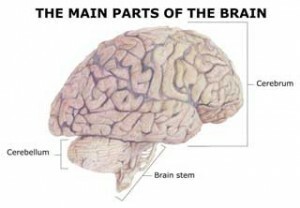 What is Neurology and What is Neurosurgery about? In Module Four – I would like to take you on a trip to operating theater and give you a glimpse into the professional life of a neurosurgeon. But let’s first distinguish the difference between a neurologist and a neurosurgeon. The public often uses these two terms as synonyms – but there is actually quite a difference in both the training and the scope of practice between these two medical specialties. A neurosurgeon is a surgeon who specializes in the surgery of the brain or spinal cord. They are trained primarily in surgery and secondarily in neurology. A neurologist is a physician who has medical, nonsurgical training in the field of neurology. They typically deal with most neurological conditions that do not require surgery. Craniosynostosis is a condition in which one or more of the fibrous sutures between the bones of the brain-case in an infant skull, prematurely fuses with a bony union between the bones – thereby changing the growth patterns of the skull and restricting normal growth and development of both the bony skull as well as the brain. 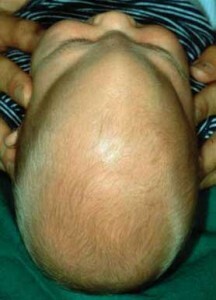 Trigonocephaly literally meaning triangular head’ is a specific type of craniosynostosis. The cause is the premature fusion of the suture between the left and right frontal bones – leading to a triangular shaped forehead and restricting normal growth and development of the bony skull as well as the brain. In the United States, a neurosurgeon must generally complete four years of college, four years of medical school, a year-long internship and then at least five to seven years of neurosurgery residency. Entering into neurosurgery residencies is very competitive! If you want to qualify for a neurosurgery residency you should ensure that you are within the top 25% (preferably the top 10%) of academic excellent students in your med school. “Is it really that difficult to become a neurosurgeon? There are two parts to this question. First, what is the difficulty of matching into a neurosurgical residency (because you MUST do this in order to become a neurosurgeon)? Second, what is the difficulty of completing (surviving) a neurosurgery residency? Undergraduate: Just do whatever you would normally do to get accepted to medical school. Get good grades, good MCAT, extra curriculars, etc. Generally speaking it doesn’t officially matter what medical school you end up attending… but realize that if you want to be a neurosurgeon you should go to a medical school that has a neurosurgical residency program. There are approximately 100 neurosurgical residency programs and approximately 150 medical schools. Medical School: This is the important step. You need to perform minimum in the top 25% of your class (if you school does class rank and grades such as Honors, High Pass, etc. ), generally speaking neurosurgeons were in the top 10% of their med school classes and many were AOA elected. You should think of 235 as the average USMLE board score for students who match into neurosurgery. Remember for scores less than 235 you will likely need to balance the low board score with some other area of your application that makes you stand out (and it is VERY tough to stand out against other medical students trying to get into neurosurgery). You will want to do research and really need to work on getting some publications while a medical student. You need to excel on the neurosurgical rotation and get great letters of recommendation. Eventually, you will need to apply to neurosurgical residencies, get offered interviews, attend the interviews, and then match into the residency program. Approximately 75%-85% of US senior medical students who complete the application process will match into neurosurgery. This may seem like a high match rate… but compared to other specialties like internal medicine and pediatrics it is actually a low matching rate. It is not the hardest residency to match into… there are others that are harder numerically like Dermatology. Remember however, there is a self-selection process going on too… many medical students who might be interested in neurosurgery but don’t think they are competitive for the match (poor board scores or grades etc.) won’t even apply. So you are competing for those positions with those who think they have a real shot at matching. Additionally, unlike IM or Peds which may have 5-12 positions at each residency training program where you will interview, neurosurgical residencies usually only have 1 or 2 positions available at each residency. If you go on 8 interviews for IM residency with 10 positions open at each interview site, you are effectively trying to match into one of 80 spots. If you are applying to neurosurgical residency and you go on 8 interview you will likely be interviewing for 1.5 positions per interview and will be effectively trying to match into one of 12 spots (compared to 80 spots for the IM residency, with identical number of interviews) All of this plays into the difficulty of matching. Most programs require 1 year of general surgery internship followed by 6 years of neurosurgical residency (of which 2 years is usually devoted to research or elective time). Some programs do 1 year of general surgery internship followed by 5 years of neurosurgical residency (total of 6 years instead of 7 years) but only require 1 year of research instead of 2. So in the end the amount of clinical training in neurosurgery (and the time spent in the OR) is identical between 6 and 7 year neurosurgical residency programs. About 80% are 7 years long and about 20% of programs are 6 years long. Generally, you will work between 80-100 hours per week and for most neurosurgical residency programs are required to average 88 hours per week or less over a 4 week period. The tolerance for errors and mistakes is very low, because a small mistake can have large unsalvageable consequences when dealing with the brain and spinal cord. It is a stressful, high risk, high reward specialty. And there are rewards…. it is an extremely interesting and challenging specialty. You will have to work hard, probably harder than any other specialty during and after you residency (with a few exceptions) but then again the financial rewards are also good. And looking forward to Module Five: Gastroenterology? If you want to become a Gastroenterologist or a General Surgeon do not miss this! I Ameh Christian wants to be a medical doctor in my future. i love helping people, and i hate seeing people in a unconscious form. Your motives are honorable! Best wishes with your studies.